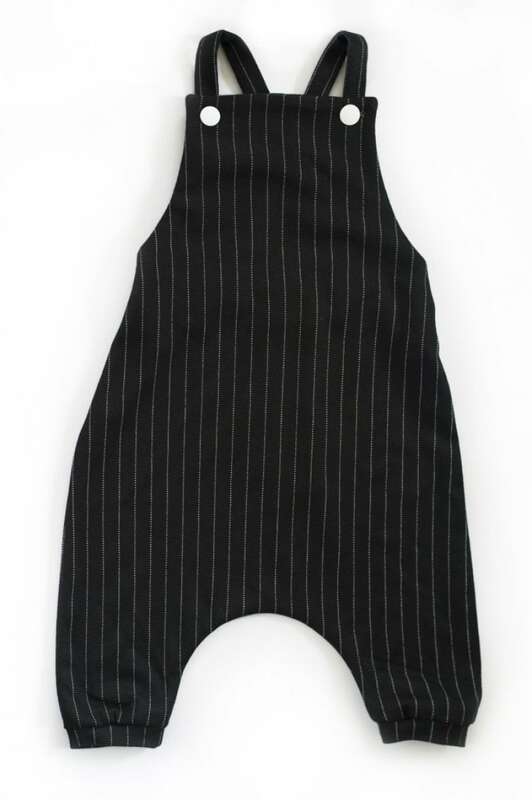 How do you search for the perfect outfit for someone under or around seven pounds? Someone who is, although small, going to change your life in a very big way. Said someone is also going to grow at an extremely fast pace, from birth to kid-hood in the blink of an eye. When looking for a new ensemble for a newborn or toddler, look toward some pretty stylish fellow Canadians for help. As we were compiling this list of ten, it's safe to say that, if there was room for 10 more, our list would have grown quicker than a bambino. New parents across the nation, it's a good time to be a Canuck. When handbag designer Ivy Chen's young son Mason was born with psoriasis, not only was the new mom applying steroid cream three times per day, but she was stressed out that the fabrication on most of his little onesies and tees were actually irritating him even more. "That's when I decided to create bamboo cotton garments," Chen told us. "[Bamboo cotton] is anti-static so it won't stick on skin. 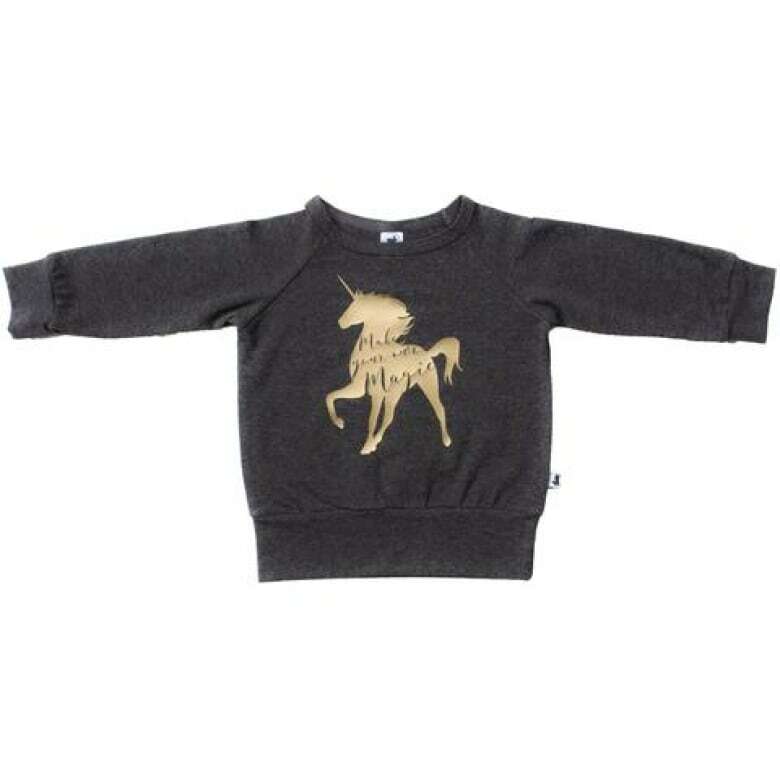 The line is all made in Canada, with a street style flare for all of the cool babies and their mommies." Partnering with graphic design Martin Bregman, the duo has created a line of must-have, black and white pieces with cheeky and chic. 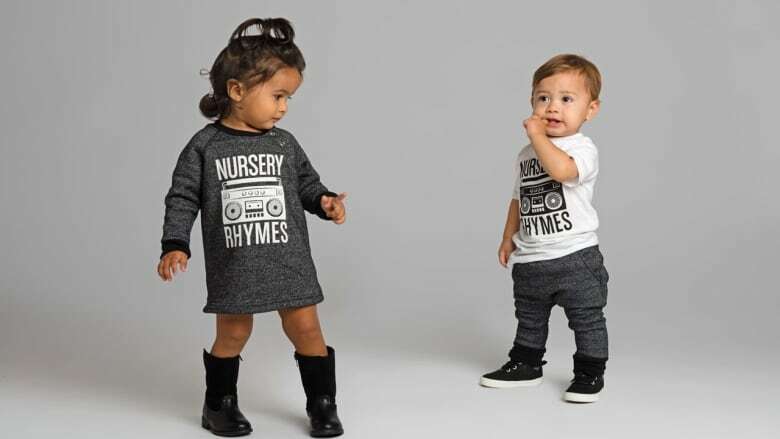 Launched earlier this year by Toronto 'It' girl Amanda Blakely and designer Kendra Francis, the duo longed for clothing for babes that were less about fast fashion and more about heritage. So they scoured the archives of family and friends, seeking out silhouettes from eras past and putting a modern spin on them for today's little style savants. Enter Petit Genoux, a line that is handcrafted in Toronto with luxe fabric. Even better, their current collection is inspired by men's suiting. One of everything please! Every The Wild collection starts with a set of quirky, kid-friendly characters (Hazel the Arctic Hare, Bob the Grizzly Bear and Finn the Fox, to name a few), that are then silk screened onto gender neutral baby and kids cotton basics. 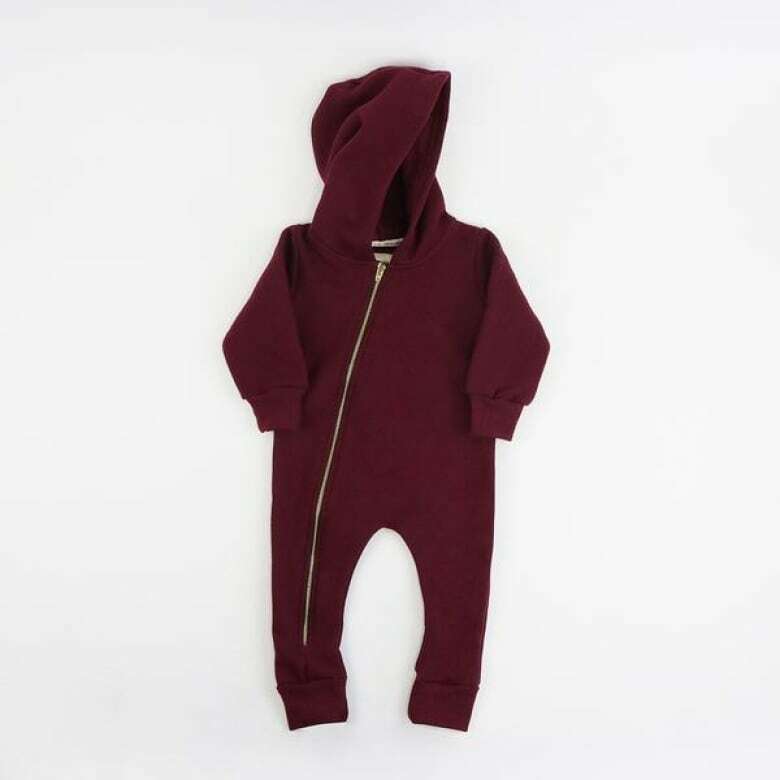 The modern and chic wares from this young family based in Hamilton, Ontario, have even been spotted on the offspring of Rachel Bilson, Hilary Duff and Jaime King, so you and baby will be in very good company. 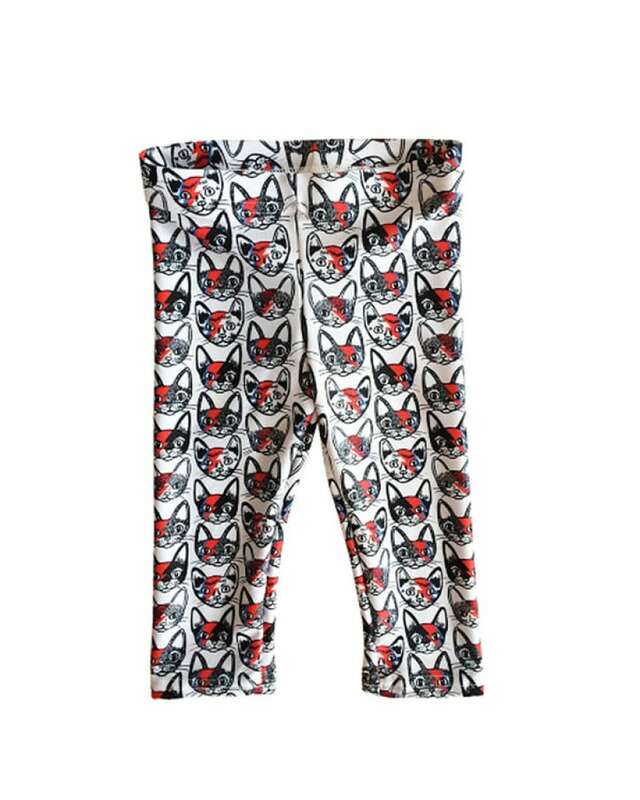 Whimsical, playful and super fun, the Ollie Jones brand is known for their standout printed leggings. 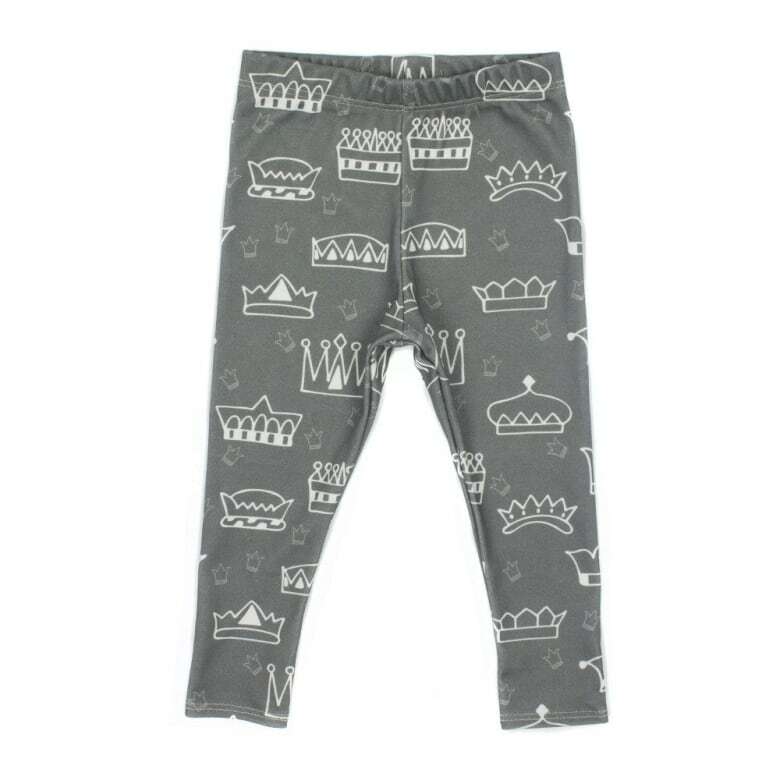 Most of their prints also come in matching headbands, dresses, bloomers and bibs, and all of their pieces are printed on 100 % organic cotton. 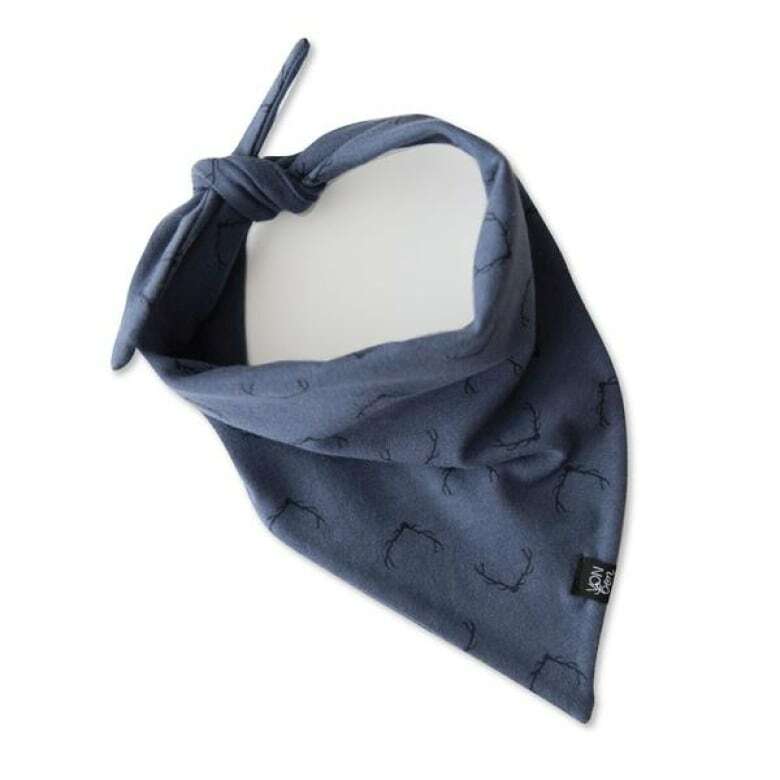 Inspired by nature (think leaf, cloud and animal prints), Nest designs is known for their chic, minimal prints on sleepers, bibs, blankets, cribs sheets and more, all made in a super soft, durable bamboo. Shop the Vancouver-based brand online, or at over 50 retailers in Canada, the USA, Switzerland, France, Germany, the United Arab Emirates and Hong Kong. 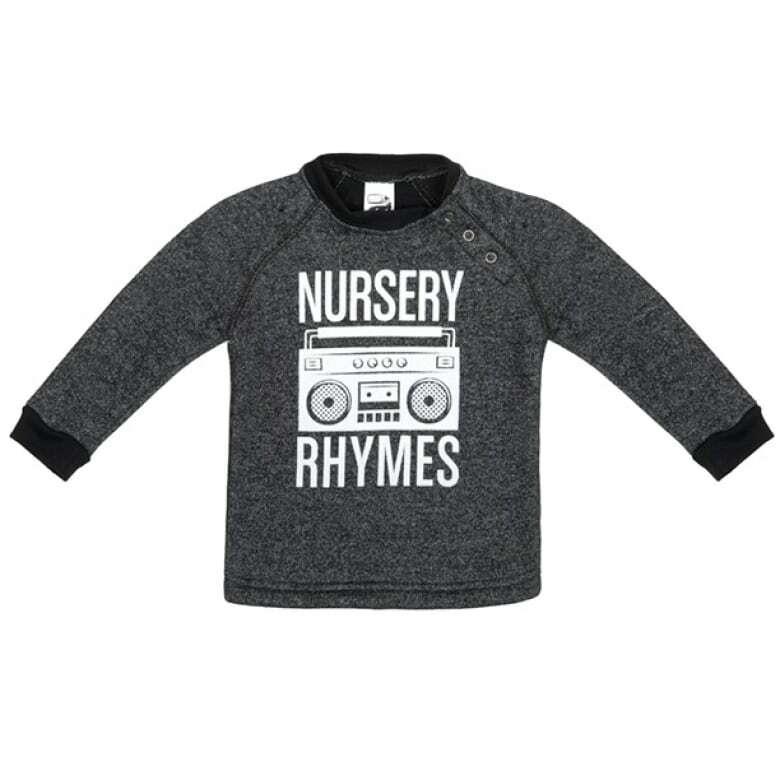 Another West Coast label for wee ones, Little and Lively consists of cute basics with a twist, like their I Woke Up Like This pullover, as well as printed leggings and beanies that come with a faux fur pompom. And we love that Mompreneur Carmen West seeks to work with local Abbotsford, BC vendors as much as possible. 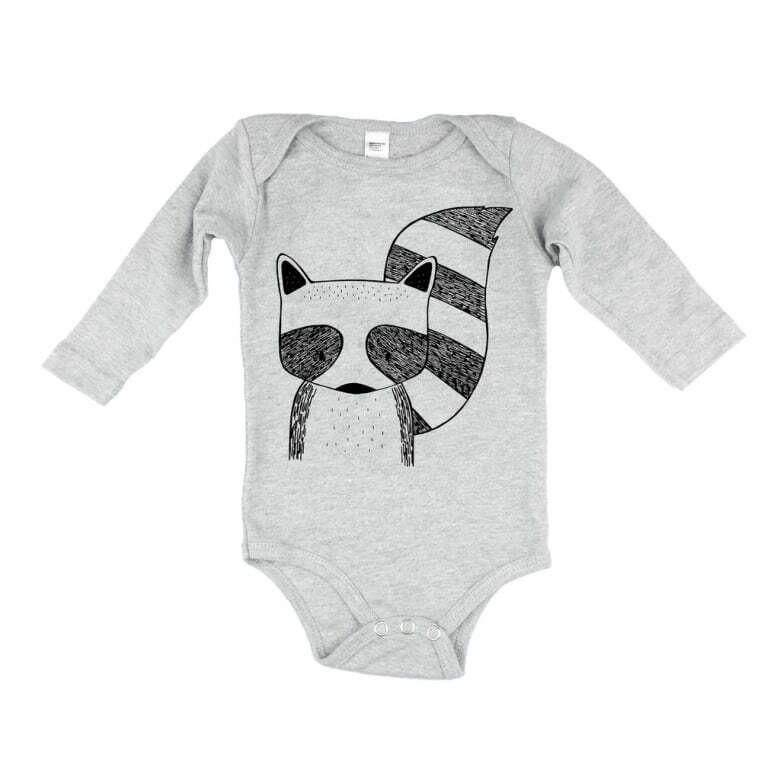 Started by two friends, this online shop carries indie baby brands from all over the country. 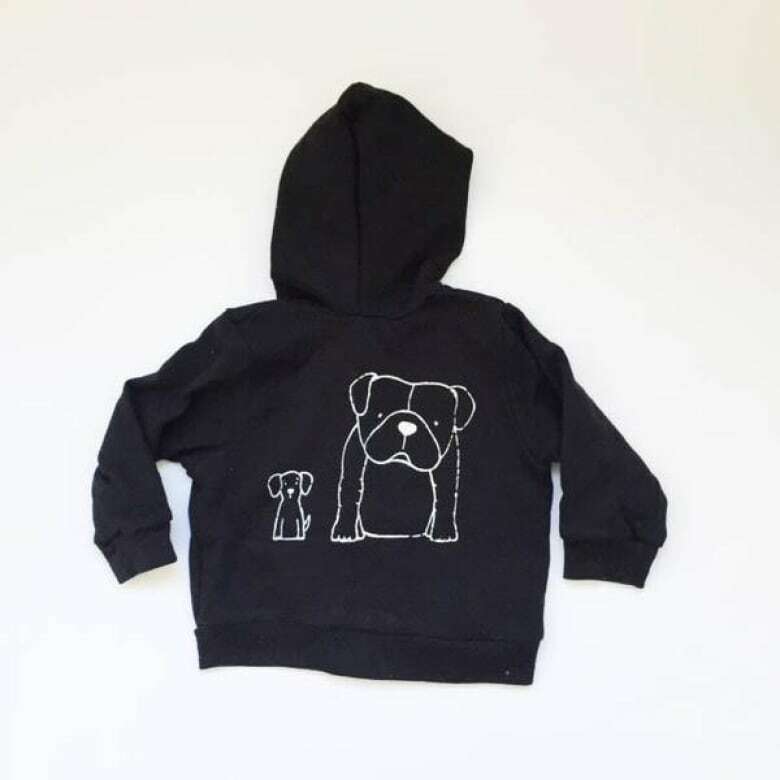 A well-curated selection of products can be found alongside their own brand of tees, hoodies, moccasins and pillows, inspired by two stuffed dogs owned by their young sons. Creating everyday essentials for babies and kids, the simple and on-trend designs from Vonbon are a must in any stylish little one's dresser. We're partial to the striped tees and blankets. 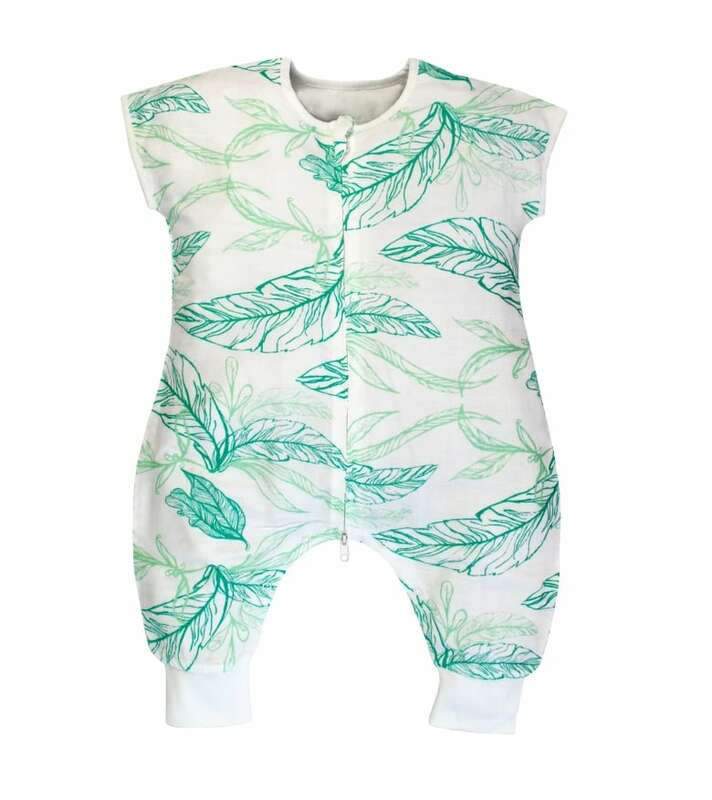 And the feathered onesie. And the cute little beanies. And the bamboo bloomers. A mix of nostalgic and modern pop-arty prints and designs, this rockin' Montreal-based brand launched in 2010 and comes complete with a cheeky tag line: The brand that makes you want to make babies! Show us cute pics of your little ones on our Facebook page.